Are you ping pong player? And looking for ways to Avoid Injuries if that is so then, you’re in the right place. As injuries are not unusual things in sports and table tennis, however, ping pong is safest in denial of this painful occurrence still there is a low risk of suffering injuries. So here you will see the top common injuries and how can we avoid them. Let’s go straight to the list of common ping-pong injuries. 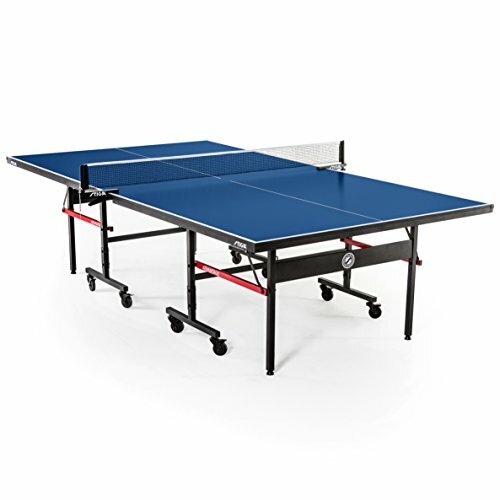 The best way to make sure to avoid any injuries is to have right equipments such as good ping pong tables and best ping pong paddles. When you play ping-pong, muscle strain usually occurs while you take a sudden move. And if you have not done any warm-up or exercise before commencing the game can also lead to muscle strains. So make sure that you do a warm up first and relax by doing this your muscles do not strain and also minimize the chances of a muscle strain. Sprained ankle problems are common injuries that have encountered unlike other injuries like shoulder injuries or wrist problems. Whereas other injuries like wrist, shoulder tend to be mild but, ankle problems are often acute. So you should seek treatment and care from a physiotherapist or a qualified doctor. Wrist problem is common to a new player as they tend to swing of the wrist during the game that will impact injuring the wrist. You should not be pressuring on your wrist and while stroking so let it go smoothly. Try not to give pressure on your wrist then you won’t get any injuries. The main problem of elbow injuries is overuse of the forearm muscles, hand, and arm. It will pain on the outer part of the elbow and sometimes elbow injuries can be quite severe and may take longer to heal fully. If the pain is unbearable immediately consult your physiotherapist. So before commencing the game do work out as it helps and minimizes the chances of elbow injuries, strength, and flexibility can also remedy. You should not wear high heeled shoes with poor grip as these are not suitable for table tennis. So avoid wearing high heels shoe, opt for shoes specifically for ping pong as they can easily handle the swift lateral movements which the course of the game. You also need to improve on your strength and flexibility of your ankle joint and strengthen your lower body muscles will help improve your overall stability. Knee joint injuries are most common on table tennis players. A ping pong player always wears straps on their knees during the game. So what you can do is not to put too much pressure on the knees when leaning on one side. Knee joint injuries are severe, and sometimes, it goes on their own. It is also imperative to do fitness making sure that doesn’t get so severe whenever you encounter them. While you play table tennis shoulder moves a lot that will make it prone to injuries. In our body shoulder joints are the mobile parts of the body which makes unpredictable and rapid movements. One should go directly to the doctor as it can become severe and pose health risks in the long run. It can avoid by not overstrain muscles while playing the game and keeping a perfect shoulder alignment. Racket injuries are most common in doubles rather than singles ping pong games. It usually occurs when one player hits his/her partner with a racket while playing the game. You should always be self-conscious and communicates with your partner for avoiding these uncertainties. If you don’t take rest and use excessive calf muscles then, calf strain occurs and usually common among ping pong players. Standing for a long time will strain in the player’s calf muscles so to avoid these; you should do proper exercise and warm up. 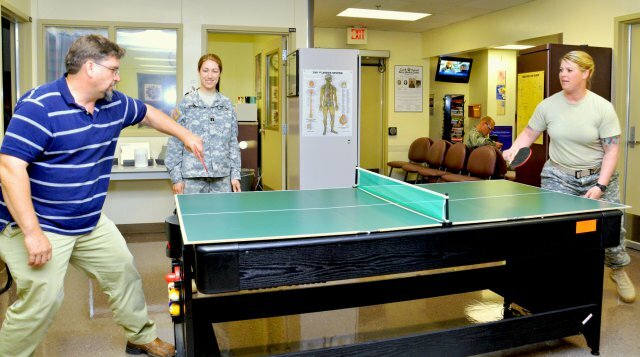 In the ping pong game, injuries are caused by the player extensively using muscles and other body parts by not letting them relax or taking a rest. Overuse injuries will tear the muscles and can lead to acute pain. So you can prevent these injuries by warm up and hydrated all the times. So before commencing a game make sure that you do a properly warmed-up and exercise. If you have not done warm up otherwise, you will be waiting for a strain to happen. It is a good idea to do warm up before going to the table. It is always a good idea to do long warm-ups around the table before starting the game. People look over the player and admire them however players think a bit odd for doing it and seems a bit an attitude in the ping pong table. A proper physical warm-up will become exclusive something for the elite players. So be a certain standard to get away with doing one but not a fool. How to Stop ‘Little Niggles’ from Becoming Chronic Injuries? Players are likely to get injuries while playing table tennis but prevention is always better than cure and, we need to accept it. Many tennis players are forced to retire due to chronic injury which could have prevented though but, the key is unfortunately rest. An injury like shoulder, calf strain will go away by taking rest for a few weeks to a few months. However, doing warm-ups regularly you may get injured so avoid over-training as it prevents an injury from becoming a chronic injury. So be patient always keep your eyes on the long-term because it is better to miss a few months and days rather than to stop playing later on down the road. Ping pong injuries are exclusive mostly to the doubles players as opposed to singles ping pong games. These injuries usually occur when one player accidentally hits his/her partner with a racket while playing. So you should always communicate with your partner while playing so that both the players will not get into the path of the other player. While running into the other player in a head-on collision, you may also get injured. 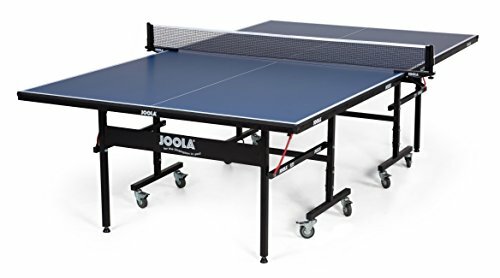 So before commencing the game of ping pong, ensure that the tables are set well and firmly so that they will not fall on the players and inflict injuries. Furthermore, players should not lean on ping pong tables to avoid destabilizing the tables. Always make sure that hold your racket firmly in the hand when you are swinging to strike the ball, it does not slip off and hit other players. So this is the end of the article I hope you follow these and try to do warm up before starting a game as it helps because it is always better to miss a few months and days rather than to stop playing later on down the road.